Cruises from New York to Europe go to England, Italy, Spain, Ireland, Netherlands and Norway. The famous Queen Mary 2 ship makes several trips during the year. See the full schedule of departures below. A New York to Europe cruise is never boring. Daytime activities include the spa, enrichment lectures, sports, pools, and more. Nightly entertainment includes shows, dancing, live music and the casino. There are more choices for a Transatlantic cruise available too. Several leave from other ports. 28-day cruise to Spain on Oceania. One-way from New York to Barcelona (Spain). Visit Saint John (New Brunswick), Halifax (Nova Scotia), Cork (Ireland), Dublin (Ireland), Saint-Malo (France), Paris (France), London (England), St Peter Port (Guernsey), Bordeaux (France), Biarritz (France), Bilbao (Spain), La Coruna (Spain), Oporto (Portugal), Lisbon (Portugal), Seville (Spain), Tangier (Morocco) and Malaga (Spain). 7-night cruise to England on the Queen Mary 2. One-way from NYC to Southampton (England). 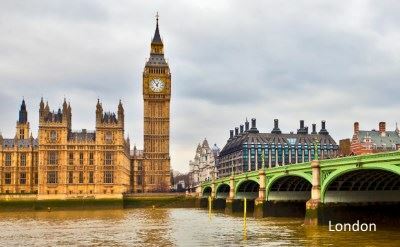 13-day cruise to England on Silversea Cruises. One-way from NYC to London (England). Visit Halifax (Nova Scotia), St John's (Newfoundland) and Waterford (Ireland). 15-night cruise to the Netherlands on Regent Seven Seas. One-way from New York to Amsterdam (Netherlands). Visit St George (Bermuda), Ponta Delgada (Azores), Brest (France), Cherbourg (France) and Bruges (Belgium). • 2019 departure: May 15. 9-night cruise to Germany on the Queen Mary 2. One-way from NYC to Hamburg (Germany). Visit Southampton (England). 21-day cruise to the UK & Iceland on the Queen Mary 2. Round-trip from New York to Southampton (UK), Liverpool (UK), Reykjavik (Iceland), Corner Brook (Newfoundland) and Halifax (Nova Scotia). 15-night cruise to Ireland & England on the Queen Elizabeth. One-way from New York to Southampton (England). Visit Halifax (Nova Scotia), St Johns (Newfoundland), Isafjordur (Iceland), Reykjavik (Iceland), Greenock (Scotland) and Dublin (Ireland). • 2019 departure: July 24. • 2019 departure: September 15. • 2019 departure: December 8. 12-night cruise to England on Royal Caribbean. One-way from Cape Liberty (NJ) to Southampton (England). Visit Ponta Delgada (Azores), Cork (Ireland) and Le Havre (France). 14-night cruise to Spain on Regent Seven Seas. One-way from New York to Barcelona (Spain). Visit Bermuda, Madeira, Malaga (Spain) and Valencia (Spain). 15-day cruise to Italy on Norwegian Cruise Line. One-way from New York to Rome (Italy). Visit Ponta Delgada (Azores), Lisbon (Portugal), Cadiz (Spain), Malaga (Spain), Palma de Majorca (Spain), Barcelona (Spain), Cannes (France) and Livorno (Italy). 14-day cruise to Spain on Norwegian Cruise Line. One-way from New York to Barcelona (Spain). Visit Ponta Delgada (Azores), Lisbon (Portugal), Portimao (Portugal), Cadiz (Spain), Malaga (Spain), Ibiza (Spain) and Palma de Majorca (Spain). 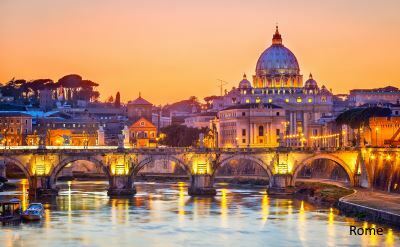 15-day cruise to Italy on Norwegian Cruise Line. One-way from New York to Rome (Italy). Visit Ponta Delgada (Azores), Lisbon (Portugal), Seville (Spain), Granada (Spain), Palma (Spain), Barcelona (Spain), Cannes (France) and Florence (Italy). 29-night cruise to Ireland on Regent Seven Seas. One-way from New York to Dublin (Ireland). Visit Martha's Vineyard (Massachusetts), Boston (Massachusetts), Bar Harbor (Maine), Halifax (Nova Scotia), Sydney (Nova Scotia), Corner Brook (Newfoundland), Nuuk (Greenland), Paamiut (Greenland), Isafjordur (Iceland), Reykjavik (Iceland), Torshavn (Denmark), Kirkwall (Scotland), Invergordon (Scotland), Edinburgh (Scotland), Newcastle (England), London (England), Paris (France), Guernsey (UK), Cork (Ireland) and Holyhead (Wales). 14-night cruise to Ireland on Celebrity Cruises. One-way from Cape Liberty (New Jersey) to Dublin (Ireland). Visit Halifax (Nova Scotia), Sydney (Nova Scotia), Qaqortoq (Greenland), Reykjavik (Iceland)(overnight) and Akureyri (Iceland). 27-day cruise to England on Oceania. One-way from New York to London (England). Visit Newport (Rhode Island), Boston, Bar Harbor (Maine), Halifax (Nova Scotia), Sydney (Nova Scotia), Corner Brook (Newfoundland), Nuuk (Greenland), Paamiut (Greenland), Isafjordur (Iceland), Reykjavik (Iceland), Torshavn (Denmark), Shetland Islands (UK), Haugesund (Norway), Kristiansand (Norway), Oslo (Norway), Lysekil (Sweden), Copenhagen (Denmark), Lubeck (Germany) and Bruges (Belgium).